Today we introduce vegetables that have traditionally been grown in Tokyo since the days when the city was still called Edo. Known as Edo-Tokyo vegetables, these are indigenous crops that have not been modified in centuries and are very difficult to grow. However, their rich flavors have made fans out of many chefs—including Kimio Nonaga, the third-generation owner of the Nihonbashi Yukari classic dining establishment. Nonaga, who has studied the techniques needed to master the art of washoku—traditional Japanese cuisine—continually researches ways to prepare these vegetables that best draw out their beautiful colors and luscious flavors. Nonaga will introduce us to the qualities that make Edo-Tokyo vegetables so attractive, while also talking about his desire to promote them to a wider audience. In this segment, we will be touring the Tsukishima neighborhood near Tokyo Bay. 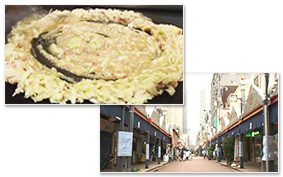 Tsukishima is famous for monja-yaki, a type of savory pancake made by frying vegetables and seafood in batter on a steel plate—along with a special broth that differs from shop to shop. The locals have enjoyed this dish for decades, but today people from all over Japan visit to get a taste. Off the main road, old-fashioned homes line the streets. We will meet long-term inhabitants who will give us a deeper look at this historical neighborhood. 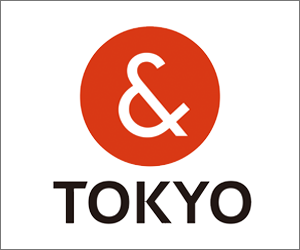 Omotenashi Tokyo is a new initiative implemented by the Tokyo Metropolitan Government that stations volunteers around town to assist foreign tourists. They guide visitors looking for popular tourist destinations in the area, while also offering advice as well as maps and brochures in a number of different languages. This segment will show how these volunteer guides are helping visitors from around the world, through the Japanese approach to hospitality known as omotenashi.